By Garett Sloane . Published on November 27, 2017. Facebook issued a set of guiding principles for its ad business. Facebook is laying down the law on ads this week with a new mission statement that is meant to clarify how it operates in the marketplace. On Monday, an ad policy manifesto attributed to VP of ad product Rob Goldman appeared on the Facebook blog. It also was reposted on Facebook by executives like Chief Operating Officer Sheryl Sandberg. "We're publishing the principles that guide our approach to advertising across Facebook, Instagram, and Messenger," Sandberg wrote. "We want our platforms to be a place where people connect with the businesses they care about in safe and meaningful ways." Our advertising team works to make meaningful connections between businesses and people. That's a high bar, given many people come to Facebook, Instagram, and Messenger to connect with their friends and family. Our goal is to show ads that are as relevant and useful as the other content you see. 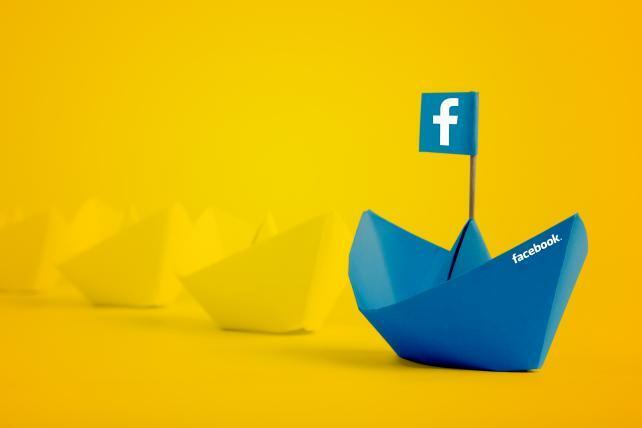 If we do this effectively, advertising on Facebook can also help businesses large and small increase their sales and hire more people - as research published recently showed. While the world and our services are always evolving, we thought it would be helpful to lay out the principles that guide our decision making when it comes to advertising across Facebook, Messenger, and Instagram. Translation: You may have heard a lot of stories involving our platform lately, about election meddling, fake news, abusive racist ad targeting, brand safety and privacy issues. There could always be another bad headline as we build more ad products that tie together our ubiquitous Facebook, Instagram and Messenger services. You would be amazed by how well we know the consumers on these services, and how much more targeted our ads can become when they're working in concert. But we really don't mean any trouble. We build for people first. Advertising is how we provide our services for free. But ads shouldn't be a tax on your experience. We want ads to be as relevant and useful to you as the other posts you see. This is important for businesses too, because you're less likely to respond to ads that are irrelevant or annoying. That's why we start with people. Our auction system, which determines which ads get shown to you, prioritizes what's most relevant to you, rather than how much money Facebook will make from any given ad. Translation: Reminder: You use Facebook for free. So we wouldn't mind a little slack. And everything we do, we nonetheless do for you, the people who use the service. (Even autoplay videos with the sound on!) Maybe not everyone likes every ad, but that's why we want to get to know you better. Then we can send more relevant ads. So the next time you hear we did some surprising research, studying your activity on Facebook like you were a digital guinea pig, know it's because we only want the best (ad) for you. We don't sell personal information like your name, Facebook posts, email address, or phone number to anyone. And because we've designed our ads systems with privacy in mind, we can show you relevant and useful ads - and provide advertisers with meaningful data about the performance of their ads - without advertisers learning who you are. Whenever we launch a new ad product, we carefully consider the privacy implications. Translation: We do not sell your data, period, end of story. OK not end of end of story. There's still some wiggle room: We don't sell what we consider "personal information," but there are programs that use your data anonymously to help advertisers and agencies improve their ads creatively and the targeting criteria. You will likely hear more about these kinds of programs in the year ahead, and you should know it's not personal information we are after, and we don't technically sell it. We sell ads, and those ads use anonymous versions of your data to target them, and we control the data, not the advertiser. It's important that you have tools to tailor the ads you see. Clicking on the upper right-hand corner of an ad lets you easily hide ads you don't like, or block ads from an advertiser you don't like. And when you see an ad you really don't care about or that has nothing to do with your interests, we make sure there's something you can do about it by visiting your ad preferences. Translation: Don't complain about (or block) Facebook ads: We've done what we can here. Go into the ad tab and tweak the settings until you get the messages you want. Help us help you help us help advertisers. You should be able to easily understand who is showing ads to you and see what other ads that advertiser is running. It's why we're building an ads transparency feature that will let you visit any Facebook Page and see the ads that advertiser is running, whether or not those ads are being shown to you. This will not only make advertising on Facebook more transparent; it will also hold advertisers accountable for the quality of ads they create. Translation: You may have heard recently that some pretty bad people were buying ads during the elections. We are not going to name them here, let's just say it rhymes with "gussians." So in light of these misleading ads from sources hiding their true identities, we are going to make it so you can discover who is behind every ad you see. No more hiding behind fake accounts and dark posts. Advertising should be safe and civil. We have community standards that prohibit hate speech, bullying, intimidation, and other kinds of harmful behavior. And we hold advertisers to even stricter advertising policies to protect you from things like scams and spam. We review many ads proactively using automated and manual tools, and reactively when people hide, block, or mark ads as offensive. When we review an ad, we look at its content, targeting, landing page and the identity of the advertiser. We may not always get it right, but our goal is to prevent and remove content that violates our policies - some of which we've tightened recently--without censoring public discourse. Translation: Speaking of bad ads, we also discovered recently that it could be quite easy to use our automated ad system to create offensive ads or target ads in an offensive way. You might have heard that an advertiser was able to type in anti-Semitic terms like "Jew hater" and potentially send ads to people with that interest in their bio. There have also been ads, remember those "gussians," that many people would find extremely offensive. We do not want to prevent free expression, but we have to enforce some standards. We can't promise you won't ever find something offensive. It would be impossible to prevent every regrettable item from getting through, not even a super-intelligent machine could catch everything. But we are working on that, by the way. Advertising should empower businesses big and small. We believe that smaller businesses should have access to the same tools previously available only to larger companies with sophisticated marketing teams. This is good for people: you get the best ads when there are more ads to choose from. We have millions of advertisers around the world who are investing with us each month to grow their businesses and create more jobs. Particularly for businesses, but also for other organizations, reaching the right people at the right time is make-or-break. As long as companies follow our community standards and policies that help keep people safe, our platform should empower all advertisers with all voices to reach relevant audiences or build a community. Translation: As we grow our ad business, there will be some programs that only the richest brands get to join, or they will get early access to some products, and we will inevitably hear from the rest of the 6 million advertisers, "What about us?" We hear you, that's why you should know that we are committed to equal treatment here at Facebook. Not every advertiser has the same exact access to information or sophisticated ad targeting tools, but every advertiser has the same opportunity to buy ad space on Facebook. We're always improving our advertising. We're always making improvements and investing in what works. As people's behaviors change, we'll continue listening to feedback to improve the ads people see on our service. For instance, when people shifted to mobile, we did, too. We know our work isn't done by any means, which means we'll often introduce, test, and update certain features like ad formats, metrics, and ad controls. Translation: We are sure there will be plenty more mess-ups along the way, but so long as we are upfront about it, that means it's cool. Right?